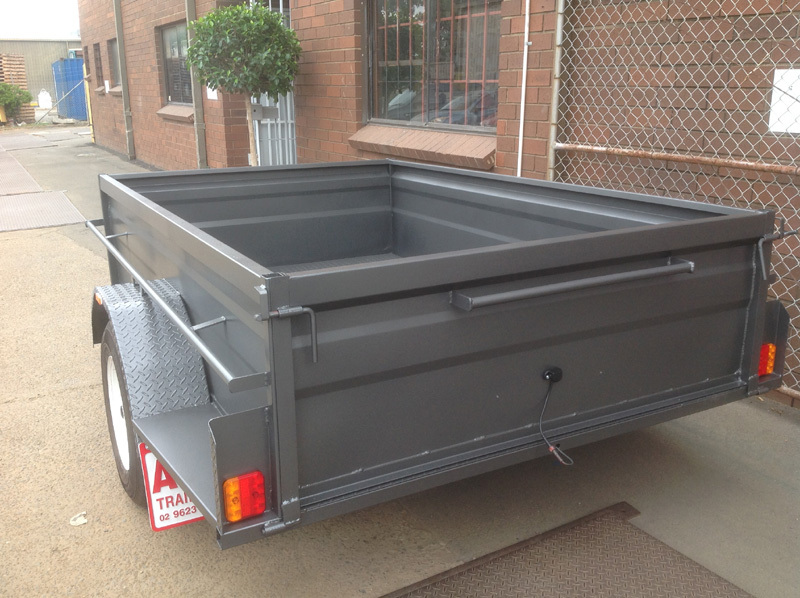 These trailers have 14 inch ribbed sides for extra strength. Floor is checkered plate and same as muduards, L.E.D. ligts, Drawbar is 1200 mm long 75 x 50 m RHS, new tyres, 5 leaf slipper springs, unbraked, 40 mm SQ axle fitted, painted in hammertone blue, silver or charcoal. 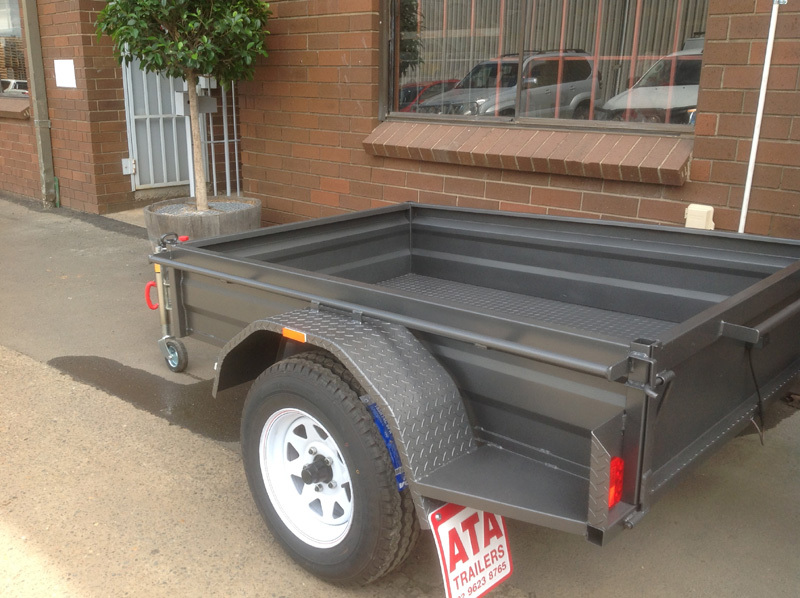 These trailers have 540 mm high sides ribbed for extra strength. 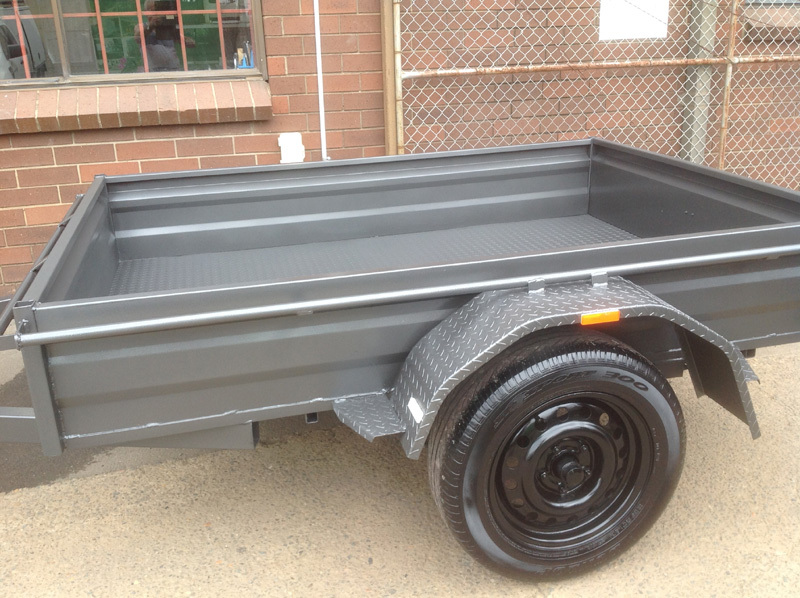 They have checker plate floor & mudguards, tie down rails on all four sides, 5 leaf slipper springs, Drawbar is 1200 mm 75x50, new tyres, Unbraked, L.E.D lights, painted in hammertone charcoal, silver or blue. 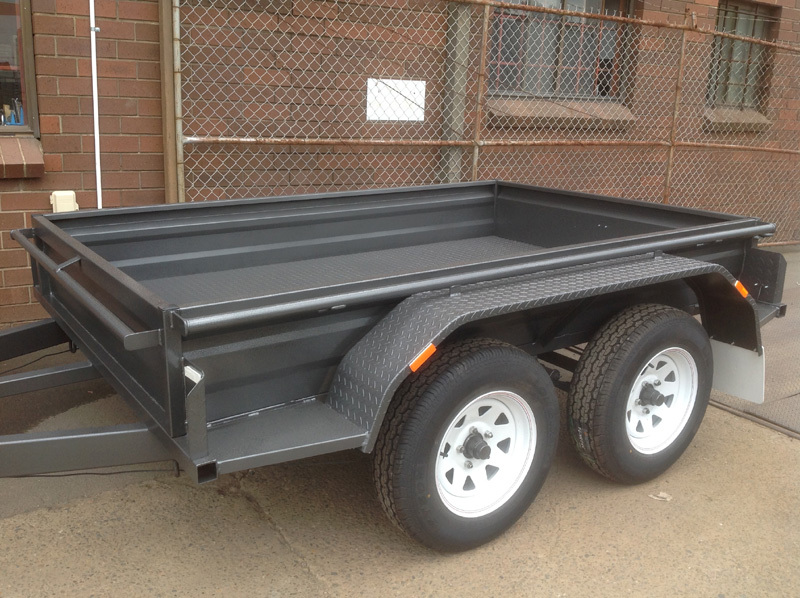 These trailers have 14 inch ribbed sides for extra strength. They have checkered floor & mudguards, tie down rails on all four sides, 5 leaf slipper springs, Drawbar is 100x50 RHS, 9"mechanical brakes fitted at front axle, L.E.D lights, Painted in hammertone charcoal, silver and blue. Select the Trailer you want. 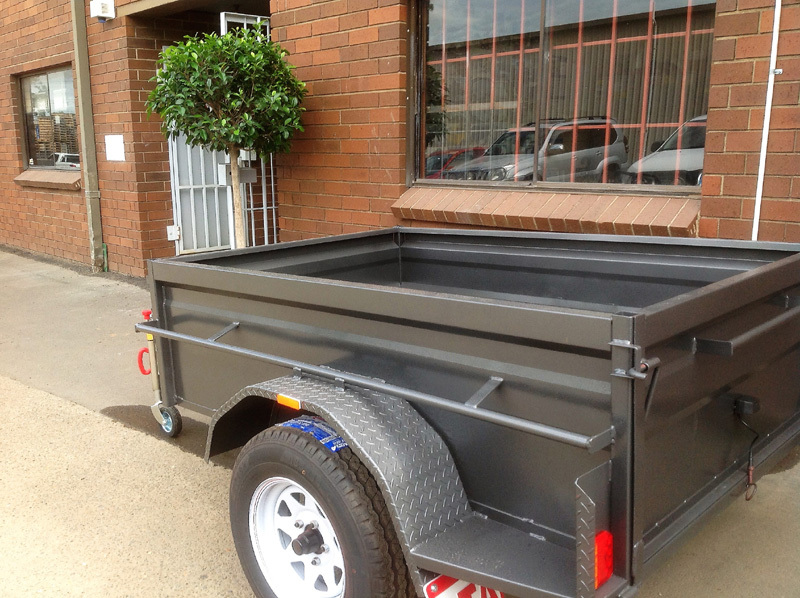 Choose it's Colour and Size and optional extras.